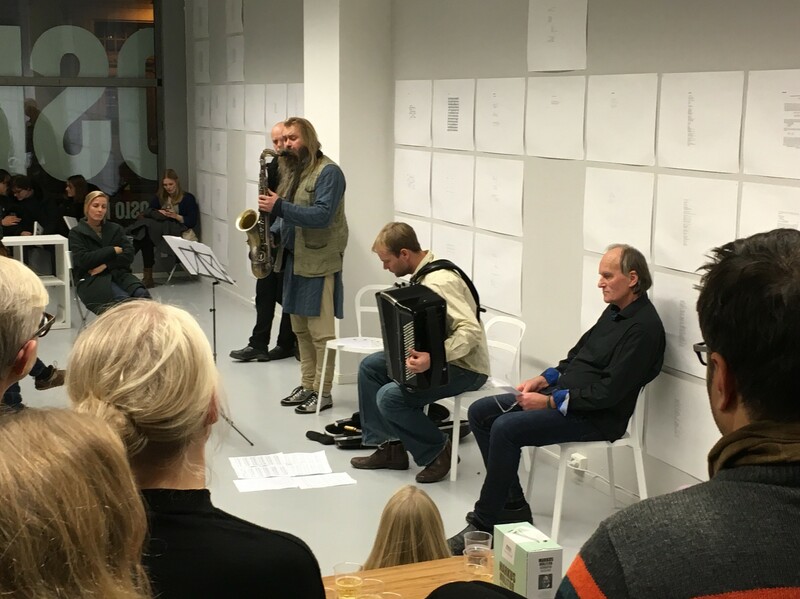 Launch event for The Word’s Head catalogue featuring a reading/performance by acclaimed Norwegian poet Erling Kittelsen with jazz musicians Trygve Seim and Frode Haltli. The event took place on Friday 4 December 2015 in OSLO PILOT’s Project Room, marking the closing of the inaugural presentation in this space. Kittelsen read passages from “Abiriels Løve,” a play first published in 1988 and performed live at the National Theatre the following year. This play is presented in English and Norwegian in The Word’s Head catalogue alongside the works of twenty-two poets from Norway and abroad.